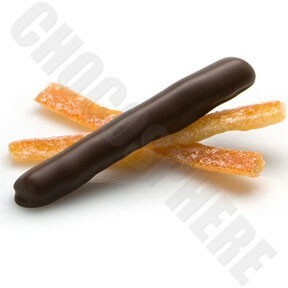 Michel Cluizel Chocolate-Covered Candied Fruit Tangy candied orange, enrobed in Michel Cluizel's incomparable dark chocolate. Net Wt. 2Kg/4.4lb bulk box.